This is the place to find corrections and amplifications about the Fantasy Baseball and Football Guides 2015. For the mid-March Projection and Big Price Update, visit this page. The password is the last word in Buck Davidson’s Allen Craig profile on page 46 of the 2015 Guide. Page 52: The Moyer Pan of Andre Ethier is meant to be a Moyer Pan of Andrelton Simmons on Page 86. The tipoff? 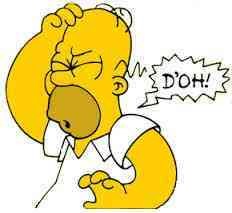 Ethier is not valued for his glove, no way no how. Blame Rotoman for bad cutting and pasting. Page 69: For some reason, J.D. Martinez and Victor Martinez appear alphabetically before Leonys and Russell Martin. This is wrong, but you’ll have to ask Excel how it happened, and Excel isn’t talking. Page 71: Will Middlebrooks isn’t included in the Guide. I don’t have an explanation for that, except I made a mistake. I’m not high on Middlebrooks at all, I think there’s a fair chance he’s going to fail utterly if he can ever stay healthy enough to get consistent playing time, but he should have been in there. Will Middlebrooks, $3: Last year’s power outage can be blamed on hand and finger injuries, which popped up throughout the season, but the contact issues that surfaced in 2013 only got worse last year. Now he heads to a park where his power, if it returns as part of his game, isn’t likely to play quite so grandly as it did in Boston. There’s enough uncertainty about his skill set to make him a possible endgame play in NL only leagues, maybe he’ll hit some homers if he proves he isn’t injury prone, that he’s just been unlucky. But the odds are strong he’s going to fail. Andy Goldstein and Derek Jones launch their latest podcast, in this inaugural release theyÂ Â tackle Quarterbacks and Running Backs. The podcast is available through iTunes, too. ASK ROTOMAN: Who Picks/Pans Best? I always get the Fantasy Baseball Guide. Â Can you please be objective and tell me which of the analysts are the best with their picks and pans? Â Thanks very much in advance. If I was going to be objective I would go over the Picks and Pans each year and grade them. Was the writer right? Or wrong? On every single opinion. In fact, every year some readers suggest I do exactly that. But I can’t. I invite all these writers to my magazine, to participate in an exercise that I hope is as fun for them to write as it is for readers to read. I believe it is, since so many of them have contributed for years and years and years. One of the reasons they find it fun, I think, is because the guidelines are loose. The writers choose which players to write about, how many to write, and what a pick or pan is. Sometimes a pan is a slam of a bad player, but more often it’s a reminder that the market on this mid-level hitter or that superstar pitcher is likely to run too hot (and his skills aren’t likely to keep up) so you should stay away. Sometimes a pick will contain serious analysis, and sometimes it is really a premise for a good joke or a bad pun. The degree of difficulty varies wildly from Pick to Pan and back, from any single writer and between all of them, and that’s how I think it should be. I understand wanting a scorecard, I think it might be a good idea for someone to do objective polling of preseason player analysis, but I’m not the one to provide it. I host of nearly 30 top fantasy baseball analysts at what I hope feels a bit like a party, and I think it would be rude for me to give them marks. 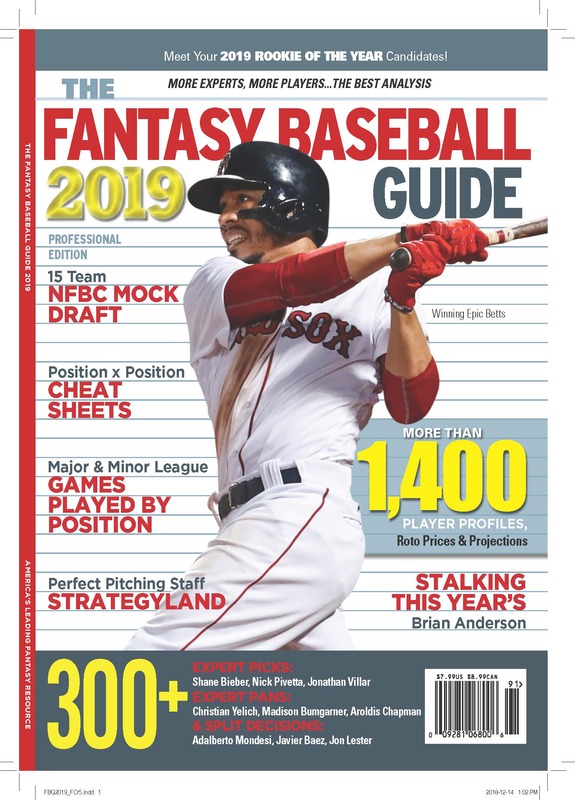 Grading would also goes against the Picks and Pans premise, and that of the entire Fantasy Baseball Guide, which is to present data and ideas and conversation about players and strategies, in order to help the reader make up their own minds. To better the conversation, I want the writers to be loose, willing to experiment and have some fun. I fear that in a contest, maybe more of the picks and pans would be “correct,” but that we’d lose a little of the loosey-goosey playfulness that makes these short bits genuinely enlightening sometimes. But I am curious. Whose comments do you find most useful, and why? Because that certainly is part of the ongoing conversation. For years we ran this chart in the Fantasy Baseball Guide, but in recent years we’ve added some advertisers and had to cut some content. The multiposition and profit loss charts seemed to be the best suited for transfer to the web. The spreadsheet includes all players in the 2014 Guide who had 15 or more games played in 2013 at two or more positions in the majors (in the first chart) or the minors (in the second). How this works in your league will depend on your rules, but it’s a good place to search out players who have more roster flexibility. pg. 3, Rob Blackstien should have been listed as a writer, his first working on football after years of baseball writing. pg. 38-46, in the stats chart. Every time it says PASSING it should say RUSHING. pg. 39. LeSean McCoy is a big player. That’s why he’s on the cover. He’s not 6’11. That’s a typo. Team Pages: The profiles written by Marc Meltzer are id’d with the inexplicable initials MB. There are also a number of profiles that are unattributed. These are mostly the work of Nick Minnix. pg. 3, Copy Editor: There was (and still is) a placeholder for “the other guy,” who ended up not contributing as a copy editor and wasn’t available to notice that the placeholder should have been deleted. pg. 10, 5ive More came up a little short and should have had its name changed to 6ix More when Kolten Wong was added. #23, Alex Hanson should be Alen Hanson. Dum. pg. 30, the picture caption for Clayton Kershaw says: San Franscisco Giant, which is an obvious carryover from last year’s layout. The projection in the caption is also 15-7, 2.84 ERA, 0 Saves, 202 IP, 156 Hits, 60 BB, 205 K, 1.07 WHIP. pg. 48, Khris Davis: His projection is the mechanical one that builds off his short season. The real projection featured in the update will have a much lower batting average and probably fewer homers per at bat, but I’m still working on that. pg. 48, Ike Davis: His 2013 earnings are listed at $0. He stunk, for sure, but he actually earned $2. pg. 66, Junior Lake: His projection is a mechanical one that gives him too high a BA. I wrote more about him here. pg. 105, Wei-Yin Chen: bone spurts SB bone spurrs. Projections and Prices Update. The page is password protected. The password is the first word of Rick Wilton’s comment about Albert Pujols in the Hitters section of the Guide. Multiposition Chart. The old favorite from the Guide. All Major League and Minor League Players with 15 or more games played at two or more positions. The Fantasy Baseball Guide 2014 Professional Edition Has Landed! The 15th annual is on its way to stores now. It includes profiles of more than 1,400 players, Picks and Pans or more than 300 players by an awe-inspiring roster of fantasy baseball talent, special profiles of this season’s Top 25 Rookie candidates, an excerpt from Larry Schechter’s new book, an NFBC-rules Mock Draft of top industry professionals, five Strategies of Champions pieces in which winners tell how they did it, and ourÂ§ information packed Draft At A Glance pages for each position, filled with tier notes, bid price lists and fast facts about last year’s profits and losses. The Fantasy Football Guide 2013 is out now. I’ve seen it in many stores and you can buy the online or pdf versions at thefantasysportsguide.com. This year’s Guide is full of sharp opinions, considered analysis and clear charts and stats all designed to help you prepare for your fantasy drafts this year. We even resisted the temptation to put Aaron Hernandez on the cover, so rest assured we did a lot of things right. Every year, please believe me, we put additional resources into getting things right, and we’re getting better each year I think, though there can still be the occasional headscratcher. One big thing I screwed up this year has nothing to do with football, but is so elementally wrong I feel compelled to cop to the error here and I hope clear the air. Each year my old buddy Jon Glascoe writes a piece for the back page of the Guide. His tone is usually comic, his subjects usually bit dark (but funny), and his writing glib and conversational and a bit philosophical. I’m always pleased to have his voice in the Guide, as I was this year. But alas, in editing his piece called The New Male Manifesto Edition I judged that his last line paraphrase of Dylan Thomas’s hugely famous poem Do not go gentle into that good night would be improved by direct quotation. What has been done cannot be undone, but I just want to be clear that this was my error, introduced into Jon’s copy. And I’m all apologies. Ps. If you would like to read the whole poem you can do so at Poets.org. Thomas is great to read out loud, but there is also a recording of the poet reading the poem, which isn’t in keeping with current styles but is powerful nonetheless. Perhaps Aaron Rodgers should be worried. Since the original Fantasy Baseball Guide, in 2000, a section in the back of the book called STATLAND has included Profit and Loss charts and Multiposition Eligibility charts from the preceding year’s play. This year, when the player profiles were longer than the hole we had to fill them, we decided to move STATLAND online. Here are the charts in a variety of formats.